Texas lived and died by special teams this season. One of the best teams on the power play in the regular season, they were dogged by a brutally inefficient penalty kill all year. Tonight's contest was no exception to that general theme. The Stars fell 6-2 to end their season in the first round of the playoffs for the second straight season. The Gulls and Stars traded goals in the first period, but the special teams battle was in full effect in the second. Late in the first, two unnecessary penalties put Texas at a 5-on-3 disadvantage to start the second. Chris Mueller scored the second-fastest goal against the Stars in franchise history. Seven seconds into the second period, the final dagger was already in the body. San Diego would add another on the 5-on-4 that ensued. Finally, as Texas got some luck with a power play at the midpoint of the frame, Julius Honka turned over a puck at the center line and gave up a shorthanded rush and eventual goal. Texas had its best chance to score all night with a five minute major late in the second. Mattias Backman was boarded hard by Corey Tropp to earn the penalty. They would come up empty on the power play. Brett Ritchie would score an ultimately meaningless goal at the end of the third and the Gulls notched an empty netter to set the final score. Jack Campbell got the start but was pulled after the fourth goal. Maxime Lagace finished the game. Tonight's attendance was not available. Well, this is it. Win or it's over. Tonight's game needs to be the complete opposite of last night's debacle. Texas didn't get timely saves. They gave away too many power play chances. They didn't take advantage of their own power play chances. Essentially everything they did in Game 2. If tonight's game can be a carbon copy of Game 2, who knows what happens in Game 5? If it's like Game 1 and Game 3, we'll see you in October. We'll find out at some point in the morning, but one obviously huge question is who starts in net. Campbell had a great game in Game 2 but didn't give Texas the saves it needed in Game 3. Do you go back to Lagace, who faired poorly in Game 1, or stick with the only goalie who's won this postseason? San Diego learned from Game 2 and used their learnings to hand Texas a 6-1 defeat tonight in Southern California. The Gulls shifted their lineup smaller and quicker to take that advantage away from the Stars, and it worked. The game was a man-handling of the Texas Stars by the home side Gulls. As was true in Game 2, the story of the game hinged on special teams. The Gulls opened the scoring on the power play and had a total of two goals on six chances, gifted to them by Texas. Brandon Montour, who was quiet in the season series, got the opening goal as the Gulls scored the first four goals of the contest. Perhaps aided by a friendly home shot count, the Gulls vaulted 35 shots on Jack Campbell through the first two periods. Esa Lindell would break up the shutout bid early in the third period, but Texas-native Stefan Noesen answered back to make it 5-1 in short order. Texas has little time to digest this one as they sit on the precipice of the end of their season with Game 4 on Friday night. Tonight, Texas takes the series to San Diego with a split of their home games in hand. It's now a best of three, but every game is a road game. That might not be a bad challenge for the Stars, who swept their three games in San Diego in the season series. While coaches and players discount the season series in interviews, it certainly matters somewhat to know you can win in a building. 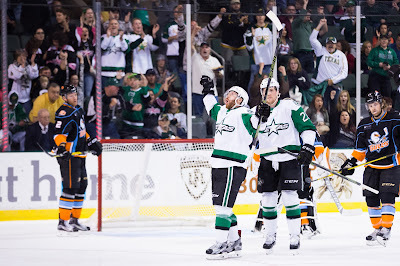 The Stars outscored the Gulls 16-9 across those three wins, allowing three goals each time. Speaking of stopping pucks, one big question is already answered for Texas. Jack Campbell will start in Game 3. His performance in Game 2 didn't have to be perfect, given the five goal outburst by the Stars, but it was pretty good, stopping 25 of 26. The Stars learned pretty quickly in the series that the power play is going to be a huge factor. Of the 10 goals scored in the series, three have been on special teams. Additionally, the undsiciplined Gulls killed any chance they had at a comeback with a parade to the penalty box in Game 2. In the opposite way, Texas' impotence on the power play in Game 1 put them on the back foot throughout the contest. The power play, which was supposed to push their momentum forward, became a stumbling block. At this point, don't expect these teams to change their styles. The series reminds me a lot of the Toronto-Texas battle in 2014. That series took seven games, and my prediction for this series before it started was a full slate of five. Nothing I've seen so far changes that expectation. 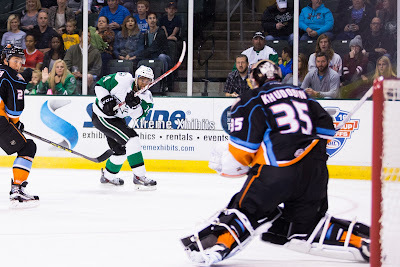 Matt Mangene absolutely does not get the credit he deserves for the role he plays with the Texas Stars. I guess that's as much on me as anyone else. Last week, Mangene scored a power play goal in Game 2 and jumped into a slot on the third D pairing. The game before he was at forward but still on the power play. The center has only played 41 games this season but has been a critical piece of the puzzle. Coach Laxdal mentioned last week that sometimes he has had to call the defenseman at 3:30 PM on game day to tell him he was in the lineup. Mangene shows up and plays the same game he would play if he'd known since last week he was playing. There's no 'warmup' period or rust. Mangene says that's the type of game that he wants to play. He came down to Texas because he believe it's a team that can win the Calder Cup, despite other offers. His inclusion in the lineup will help Texas take advantage of a truculent San Diego team that might give away too many PP chances in SoCal. In a critical game five, the Idaho Steelheads would get goals from seven different players to skate away with a dominant 7-1 victory over the Allen Americans, to take a 3-2 series lead in the best of seven Western Conference Quarterfinals. At no point during Saturday night’s game did it feel like Idaho was going to let their foot off the gas and give the Americans any chance to get themselves back into the game. From the first goal just 2:31 in, all the way through the final horn six goals later, Idaho played a stifling style of hockey that kept a lot of the chances to the outside. If we are going to be honest (and why not, right? ), Allen did have some pretty good looks. They hit a post early in the second and had a few other chances where Philippe Desrosiers had to be sharp moving around in his crease. They also had a couple of shots and deflections that just snuck past the posts. If some of those chances go in, does it change the game? Sure, but this was one of those nights were one team was just missing chances and the other was finishing just about every chance they had. At the end of the day, Idaho would skate away with a 7-1 win and a 3-2 series lead as both teams get ready to travel down to Allen for game six on Tuesday. Depth scoring. Idaho got goals from seven different players tonight and for four of them, it was their first of the post-season. Kruise Reddick, Taylor Peters, Radoslav Illo and Carson McMillan led the change tonight. Idaho now has 10 different players that have scored one goal in the series, and 10 players with two points or more, which over a small sample size of five games, I think is fairly impressive. Just for contrast, Allen has six players with a goal and eight players with two points or more. Solid 60 minute defensive effort. How many times do you see in hockey games where a team jumps out to a quick lead, only to eventually see the other team work their way back and either get back to a tie, or at least make the game more nerve wracking than it needed to be? More than you’d probably like it to be I’m sure. However, on this night, Idaho got a quick 2-0 lead and Allen started to push back a bit. But Idaho was able to maintain composure and actually would end up 4-0 after the first period. Allen, may have even had better possession in the second period, but Philippe Desrosiers and the entire Idaho bench kept composed and didn’t lose the defensive zone discipline that a team needs against the offensive fire power of the Americans. Full marks to Head Coach Neil Graham and Assistant Gord Baldwin for continuing to stress that message all game. Gill or Hildebrand? Allen head coach Steve Martinson has a crucial decision to make for game six. Does he go back to Riley Gill who got pulled 4:15 into game five? But played well in games two, three and four? Or does he go back to Jake Hildebrand who started and played effectively in game one, but allowed five goals in game five after coming on in relief? In all honesty, there could even be a third option, if he wanted to bring Joel Rumpel off of the reserve list and give him, his first start in the playoffs for game six. The other question that is hanging out there is what happens to Vincent Arseneau after getting his match penalty tonight. The league will go through their process of review and we’ll find out what happens in the next day or so, but if he is unavailable for even a game, that would be a big physical and scoring threat, out of the Americans line-up. Texas flipped the script on San Diego and throttled the visitors in Game 2 to earn a tie in their best of five series. 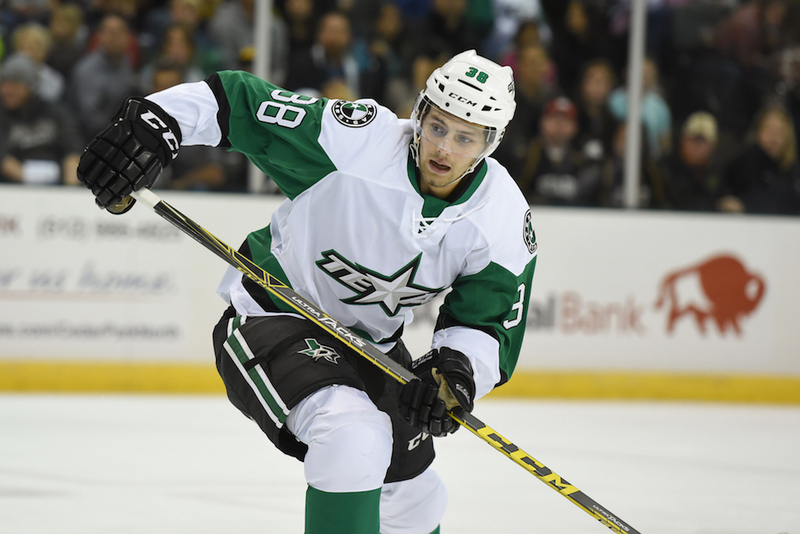 After falling 3-1 on Thursday, the Stars tallied a 5-1 victory over the Gulls tonight. Some of the biggest weaknesses of Thursday were the biggest strengths of the evening. "From start to finish, it was a solid effort," said Coach Laxdal. "The other night we didn't execute on the power play. [Tonight], we got contributions from everybody . We've got to play that playoff mentality." All told, Texas went 2-for-8 on the power play, including the game-winner, after getting nothing the other night. Jack Campbell got the start in net and stopped 25 of 26 for his first playoff win since 2014. "Jack earned the start down the stretch. We felt Jack gave us a good game start to finish." Campbell said he loves the pressure of the playoffs and continued, "It takes the full team to get a win like tonight. I was really confident in my game and knew the team would respond from last game." The Stars opened the scoring with Justin Dowling finding Derek Hulak in the high slot. Nick Ritchie answered back in short order for the 1-1 tie off the rush. It would be the only tally of the night for San Diego though. Nick Ritchie loaded up the Texas power play multiple times on the evening, no time more deadly than the 5-on-3 early in the first. Esa Lindell connected through traffic for the 2-1 goal. "We talked about getting more traffic on Khudobin," said Laxdal. "He was great again tonight but we had more of that battle at the net tonight." Brett Ritchie, playing for the first time since March 24, got an assist on the play and finished the night plus-1 with 6 shots. He said postgame that he felt good in his first game and was obviously helped by having familiar linemate Dowling at center. Matt Mangene also scored on the power play in the second period. Just as the penalty was expiring, Mangene snuck down low to finish off a pass from Brendan Ranford. "We have so much firepower up front and in back," said Mangene. "We're going to capitalize on our [power play] opportunities." Mangene also noted that the Stars did a lot of video work on Friday to work on the power play. San Diego pushed in the third to no avail as Curtis McKenzie and Justin Dowling added to the score on the Texas side. McKenzie had a goal and an assist in the game despite having the flu. Texas gets a long layoff before playing again. Laxdal intoned, "Now it's a three game series but they're all in their building. We've won there before, and we know how to win there." San Diego and Texas resume on Thursday for Game 3. The Idaho Steelheads got a two goal effort from Kyle Jean and a game winning goal from Joe Basaraba to win game four 3-1 and level the Western Conference Quarterfinal series at two games apiece. Jean’s first goal came shorthanded after Andrew Carroll was able to chase down a loose puck at center after an Allen faceoff win. Gill would make the initial save on Carroll, but Jean would bury the rebound for the 1-0 lead. As has been the trend in this series, first team to score wins and tonight was no exception. Allen would tie the game on an outstanding Tristan King deflection late in the second, but Idaho would respond in the third with two more goals to win game four. First was a laser by Basaraba through an Americans screen followed up by Jean’s second goal into an empty net late in the game. Special teams once again have an impact. In a game where neither team was able to score with the man advantage, it continues to impact the series. Idaho’s first goal came shorthanded, so there is a direct impact on the game, but more importantly the teams were a combined for an 0-9 with the man advantage. Again, no perceived impact, but when you look at the fact that both teams were so effective with the power play for the first three games, the fact that each teams penalty kill kept the power plays off the board is worth a note. Goaltenders played well once again. Philippe Desrosiers made 29 saves on 30 shots and Riley Gill made 26 saves on 28 shots. In game three, the quality of shots were packed into small bursts by each team, but in game four the quality of shots were spread throughout the entire game, making the timing of a lot of the saves during the game even more important. In the first little bit of a goaltenders dual of the series, both Desrosiers and Gill made some outstanding saves to keep the game scoreless in the first period. Even a broader look at all four goals in the game, there wasn’t a whole lot that either goalie could ultimately do to stop the shot from going in. Each player was on their game tonight and it only added to the playoff atmosphere. Pointing out the obvious, game five on Saturday is going to be hugely important. A reminder that the series is a 2-3-2 format, so Idaho’s last home game of the series is Saturday night. 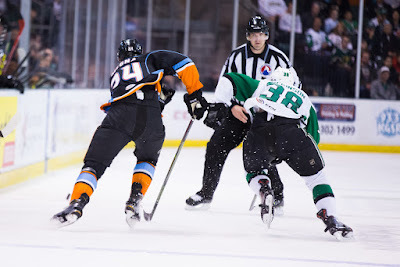 Game six is guaranteed to occur down in Allen on Tuesday night, and with a possible game seven set for Wednesday night, I just have this feeling that Idaho really needs to go back to Texas holding a 3-2 series lead to have a realistic chance to win the series. These teams continue to split games this year, and for either team to have to win two games next week will be a monumental task. See below for the “Live Blog” of game four. UPDATE: Ritchie in, Campbell starts. It basically goes without saying that Texas needs this one badly. Thursday's game felt similar to last year's playoff opener as the Gulls stymied the powerful Texas power play, holding them without a single shot in the contest. Last year, Rockford dominated Texas with a stifling PK and swept the series. With games three to five all in San Diego, you've got to win at least one at home to have a chance. Otherwise you have to play perfect hockey on the road. Both teams have excellent road records, but clearly the home record was better. San Diego is playing .647 hockey in the Valley View Casino Center. All other things equal, that means they win two of three in their barn. You've gotta win this one tonight. 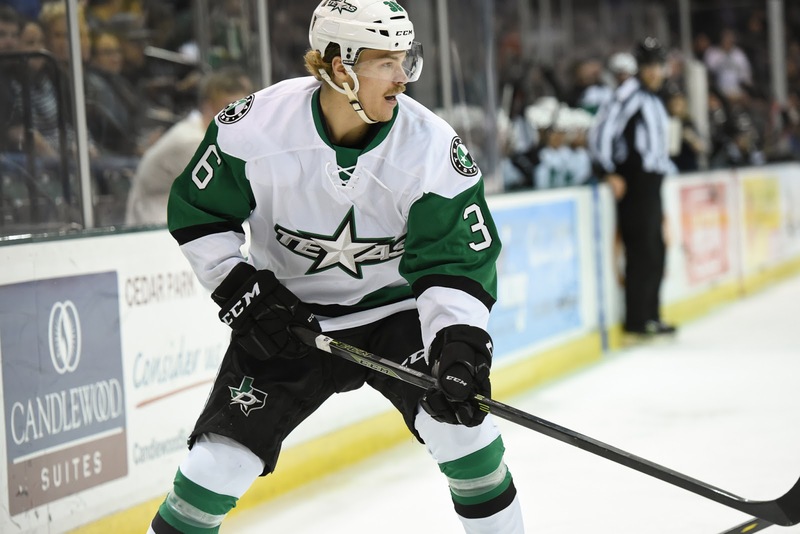 The Stars will look to do that with the potential addition of Brett Ritchie to the lineup. Ritchie was a surprising scratch for Texas. After being sent down before Game 1, presumably after returning to health, he was scratched with injury Thursday. 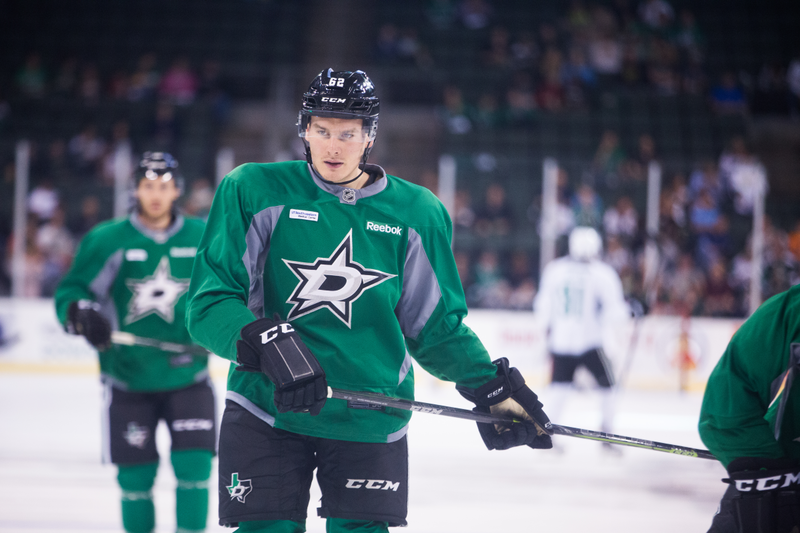 If the Stars get him back, he could make a big difference on the aforementioned PP. Texas could also be without Greg Rallo, who was injured in Game 1 and will be re-evaluated for Game 2. You've already attended your last game at the Cedar Park Center, and you didn't even know it. The Texas Stars, the City of Cedar Park and H-E-B announced today that they have reached a naming rights deal for the Stars' home arena. The facility will now be known as H-E-B Center at Cedar Park. The deal culminates a multi-year naming rights search first announced on December 13th, 2011. The new name is effective immediately. The arena will host its first event tonight, a concert featuring The Band Perry. 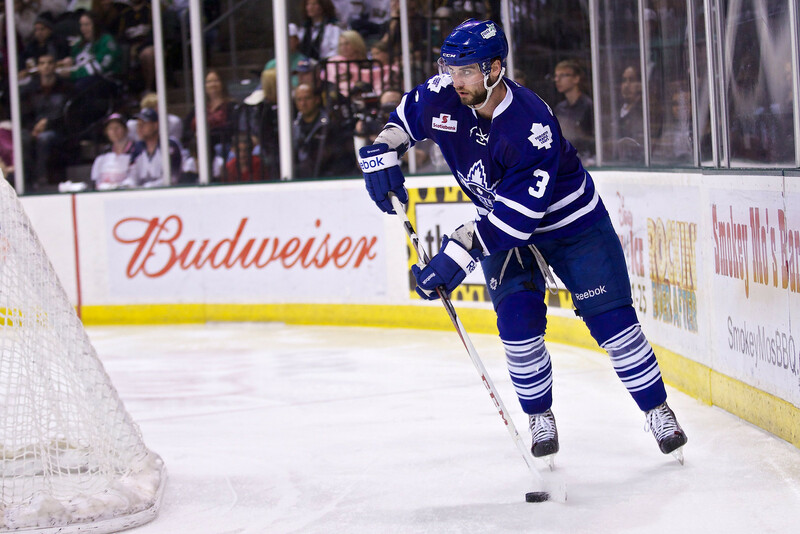 John Mulhern recaps Game 3 of the Idaho Steelheads' opening round series against the Allen Americans. Idaho is down 2-1 in the series with Game 4 coming tonight in Boise. The Allen Americans got a pair of power play goals and another solid night in net from Riley Gill, and defeated the Idaho Steelheads by a score of 3-1 to take a two games to one lead in the ECHL Western Conference Quarterfinals. Special teams continue to have an enormous impact on the series. Of the four goals scored tonight, three of them came with a team on the power play and the fourth goal came during a period of four on four play. A bit of an interesting note, of the 12 goals scored in this series, seven of them have been scored outside of five on five play. This next thought builds off of the special teams thought above. The Steelheads have to stay out of the penalty box. Of course that is real easy for me to sit here and say that. At the end of the day, there is only so much that is within the players control. But when you look at the fact that the Steelheads were only shorthanded three times in the game, and Allen was able to score twice, it continues to remain a point of emphasis. Goaltending continues to play a big role. Desrosiers made 27 saves on 30 shots and there were a bunch of outstanding saves he made during the course of the game allow the Steelheads a chance to comeback. Gill for Allen also had a strong game in net. He was able to make 37 saves on 38 shots and also have some real nice saves to keep Idaho off the board. Going forward it’s going to be interesting to see how these goaltenders continue to influence games through freezing the puck, playing the puck and rebound control. As I have done in the past for Idaho Steelheads home games, I give my initial reactions from last night’s game immediately after each period. With that in mind, enjoy the “live blog” below. San Diego marched into the Cedar Park Center and took Game 1 from Texas with an opportunistic offense and clutch penalty killing. The visitors claimed a 3-1 victory over the Stars, holding them to a single goal and allowing zero shots on four penalty kills on the evening. "We looked a little bit nervous in our building," said Coach Laxdal. "It started with our puck movement. We looked disconnected. Their penalty killers had more energy, and they frustrated us." Dallas Eakins and the Gulls were ready for the top-5 ranked Texas power play and despite giving them four chances came out completely unscathed. Eakins noted postgame that the team went "through hours and hours of video. We spent a lot of time over the past few days poring thorough power play after power play and noticed a few things that were very consistent and we executed [to that]." Each of the San Diego goals in the series came directly off Texas mistakes. In all honesty, the Stars played well at 5-on-5 but didn't get timely stops from their goaltender, Maxime Lagace, or put him in unwinnable situations with turnovers. 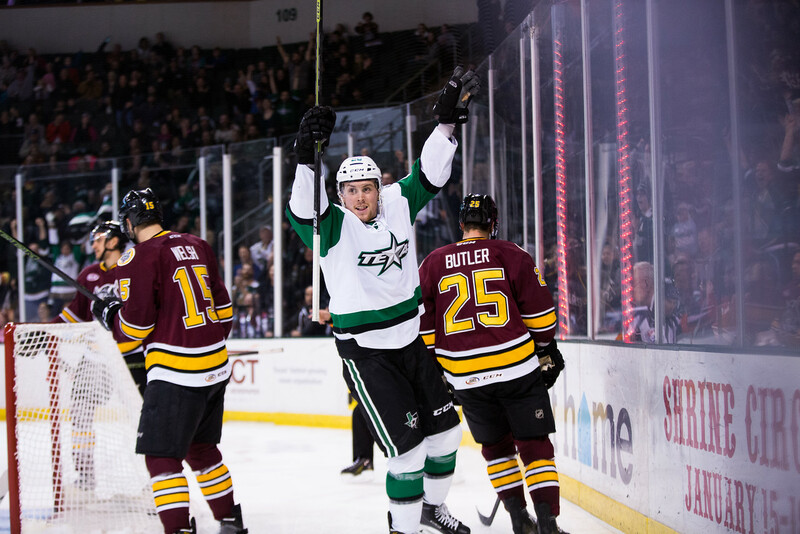 "It was the little turnovers and mishaps we had that ended up costing us," summarized Justin Dowling, who had the Stars' only goal. San Diego struck first and never trailed in the game. Antoine Laganiere scored high blocker after a bad change, a blown defensive play and a save Texas needed to get combined to allow the play. Justin Dowling answered early in the second with a shorthanded goal, going five hole on Khudobin. 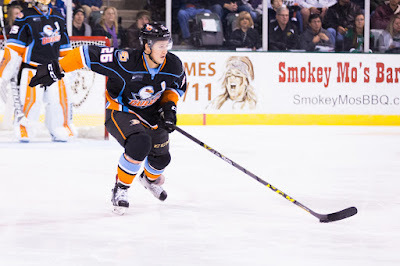 Nick Ritchie scored for San Diego off a turnover by Julius Honka and the Gulls led again. The Stars' power play frustration mounted in the second, and by Texas' fourth PP, the team was "gripping the sticks" a little harder. "They clog up the middle and pressure hard too," said Dowling. "I think it was more us than them. We weren't making the right passes and reads." Laxdal summarized, "You have to take a deep breath. We were 3rd or fourth in the league all year. Just rely on what got you to this point. You could see the frustration growing in the guys on the bench." The Stars weren't able to generate enough second chances at 5-on-5 to break through Khudobin. Chris Mueller would add a third for the Gulls to close up the scoring. Texas looks to Saturday now to earn a split at home and head to San Diego without the tall task of having to win all three on the road. Brett Ritchie, who was assigned from Dallas earlier this week presumably because he was healthy, was out tonight with an injury. Coach Laxdal indicated Ritchie was "still" suffering from a lower body injury and could play Saturday. Welcome to the playoffs! For the sixth time in seven seasons, the Texas Stars have made it to the postseason. That's not exceedingly common, so the feat is notable on its own. Now the Stars look to make some noise against an opponent that could be read either way depending on the lens you choose. For at least the past few months, it seemed nearly certain that Texas would play San Diego in the first round. It was just a question of who would own home ice advantage. These two teams last matched up on February 17th and San Diego looked to be the third seed. After losing that game, the Gulls were just three games above 0.500, and the Stars had every reason to be confident about their pending matchup. They were 5-1 against the Gulls on the season and had just finished the series with a 6-3 spanking. Then the Gulls got hot. Since the two teams last played, the Gulls are 16-3-3-1, earning them over three-quarters of the available points. Over the same period, Texas is 9-7-5-0. If the playoffs are all about getting hot and staying hot, this could be a problem for the Stars. Coach Laxdal is certainly aware of the dichotomy, "You can look at it two ways. They've got a great roster and are having a great second half. In the playoffs, everyone has that clean slate." The book on the matchup between these teams has been speed versus size all season. That is unlikely to change in the playoffs. "They play that truculent game that [NHL affiliate] Anaheim likes to play. We're a speed team; they're a physical team. It's going to be a chess match." One of the simplest moves of the match will be the move that Texas doesn't make. Captain Travis Morin noted that the Gulls often tried to goad the Stars into post-whistle antics, "We have to stay out of the box. During the regular season, it played out that way. They tried to push us around after whistles. If they want to do that again, we have to keep the same mentality." The concept of special teams is going to be a big one; Morin called out the skill on the San Diego power play as a huge reason to stay out of the box (more on that below). Coach Laxdal harkened back to the series last year against Rockford that saw the Stars go 1-for-10 on the man advantage (and allow 3 PPGs on 13 opps for a 77% PK). 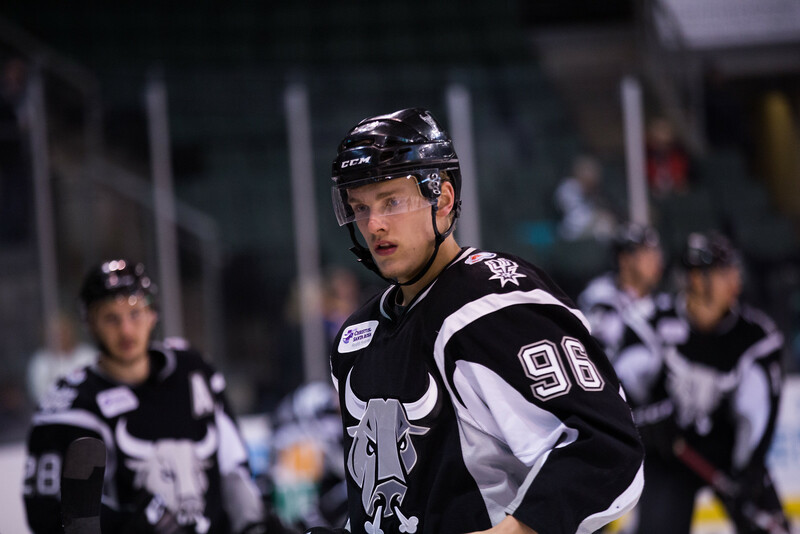 "That's one thing we didn't capitalize on last year against Rockford," Laxdal recalled. "When you're in a five-game series, you have to score a power play goal a game if you want to have a chance. Their power play is solid and [their goalies] are solid. We have to utilize our speed. We know we're not a big physical hockey club." Thanks to assignments from their respective NHL teams earlier this week, Nick and Brett Ritchie will face off against each other in this series. The brothers played against each other in a few AHL games this season but were rarely on the ice at the same time. Their lines were not matched, and neither plays on the penalty kill. 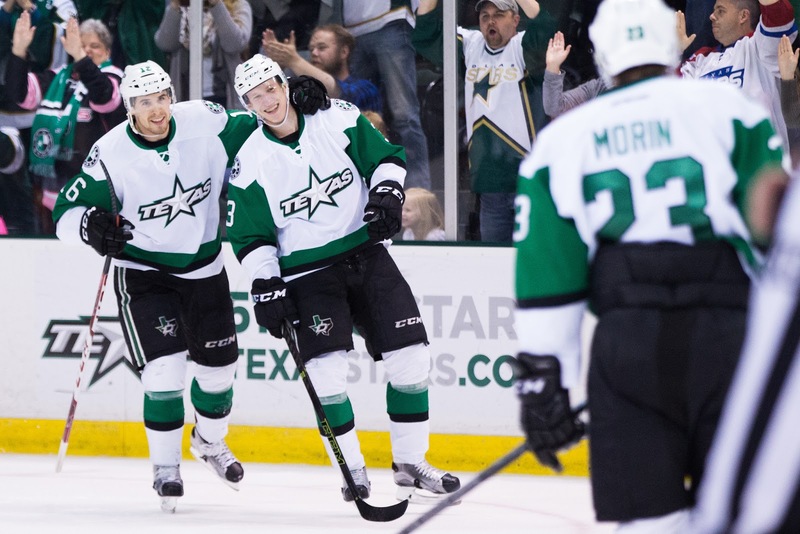 The return of Brett Ritchie is a big impact for the Stars. The elder Ritchie potted 14-14=28 in an injury- and call-up-shortened season of 35 games. He's a steady contributor on a power play that has been sputtering over the past few weeks. Coach Laxdal anticipates injecting Ritchie into the top six and potentially adding Matej Stransky as their third. Chris Mueller - How did we get this far into the preview without mentioning Chris Mueller? Texas knows exactly what Mueller brings. He's dangerous at even strength and even more lethal on the PP. He has 20 goals this season with 8 of them coming on the PP. Nick Ritchie - Ritchie has spent a ton of time with Anaheim this year (33 games) but in the AHL, he is nearly a point per game player. He's also a dangerous PP weapon with half of his 16 goals coming with the man advantage. Brandon Montour - All-Rookie Team selection Brandon Montour was not noted for his defensive prowess in our various award ballot reveals, but he can score points, for sure. He's got just as many points as Mueller (57). Matt Hackett and Anton Khudobin - Anaheim has an embarrassment of goaltenders, and these two vets have been stalwart down the stretch for the Gulls. Big impacts are possible from either one. Travis Morin - Plain and simple, the Stars need Travis Morin to be Travis Morin. 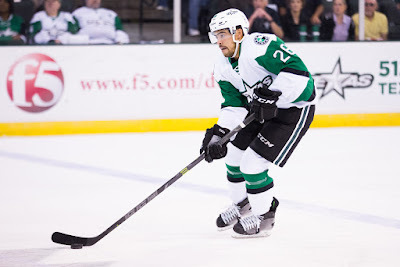 He is the Stars' answer to Chris Mueller (but with a better playoffs points pace). Brendan Ranford - Leading scorer in the series with an eye-popping 11 points in six games. Now a vet of AHL playoff runs thanks to that Calder Cup run. Will need to act as a veteran for some of the younger kids making their first foray. Jason Dickinson - Seven points in six games against the Gulls. With the center lineup set in the top two, Dickinson could be a very important piece of the puzzle. If he can light things up on the third line, that puts major pressure on the Gulls' depth. 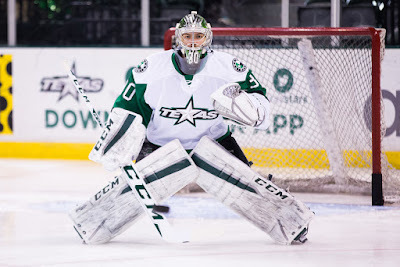 Maxime Lagace - The elephant in the room is Lagace's play over the last month or so. Since February 17th, he's gone 4-6-3, including 3 pulls. Putting Jack Campbell in for the last game was a two-pronged strategy: give Lagace rest and maybe plant that seed of doubt about his starter role. Tonight will tell us if it worked. 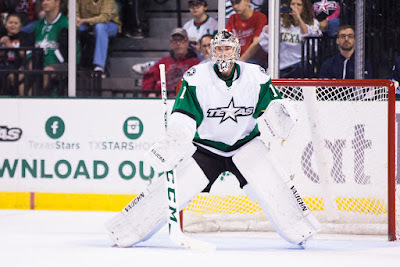 With no pressure but certainly with something to prove, goalie Jack Campbell took the ice for what could be his final game in a Stars uniform this past weekend. The Jack Campbell that we have seen flashes of in Cedar Park for years was fully on display. Campbell stopped 32 of 33 in a game that was statistically meaningless for the Texas Stars. It was more important personally for Campbell, as he has struggled this season and was able to put an exclamation point on an otherwise forgettable season. Aside from a slight hiccup in the third period, Campbell was perfect. It wasn't the sort of game that any goaltender could have won. Texas had big defensive lapses in the first period and needed a steady hand. They found that for the night in Campbell, which is why he is the player of the week. Will they play only 68 games? The westward expansion of the league continues this morning. As was rumored last week, the Arizona Coyotes have purchased the Springfield Falcons and plan to move their newly-acquired AHL affiliate to Tucson, Arizona, for next season. The American Hockey League started the westward move last year with the relocation of five teams, all owned by their affiliated NHL clubs, to California. There was and continues to be much consternation about the compromise that was reached to keep those teams in the league: fewer games played for just those five teams. There are several outstanding questions as this move takes place. First, will Tucson play 68 games or 76? They weren't part of the bloc that moved en masse last season, which had the bargaining power to take their toys and go home if the league didn't agree to their terms. Tucson is just one team. Further, the divisional alignment will take a hit. The league, which was balanced at 15 teams a piece, will shift to 16/14 if nothing else changes. It seems to make the most sense that Charlotte, which has been a good soldier for the league by going West for several seasons, would go back to the East. That would even up the conferences. Then you'd expect to see the Pacific, including Texas and San Antonio, have eight teams and be eligible for the crossover to the now-seven team Central. 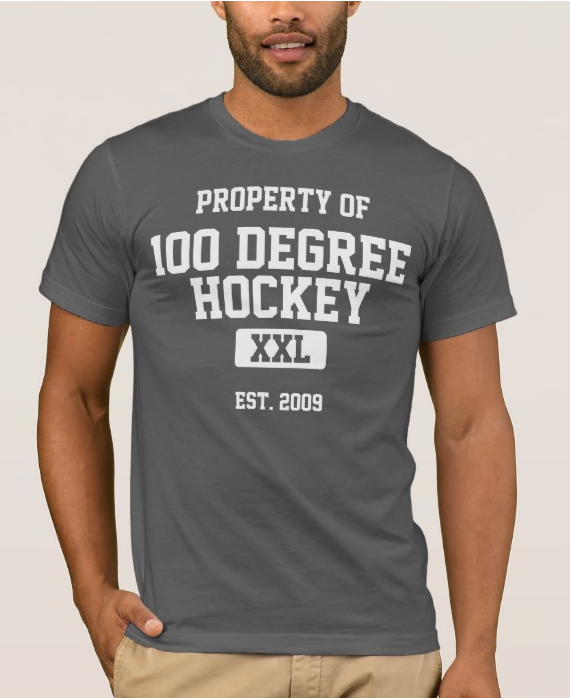 Finally, this tips the balance in the league of NHL v. independently owned franchises. At 15 each after the purchase of Norfolk (by Anaheim) and Texas (by Dallas), it's now a 16 to 14 advantage for the NHL clubs. 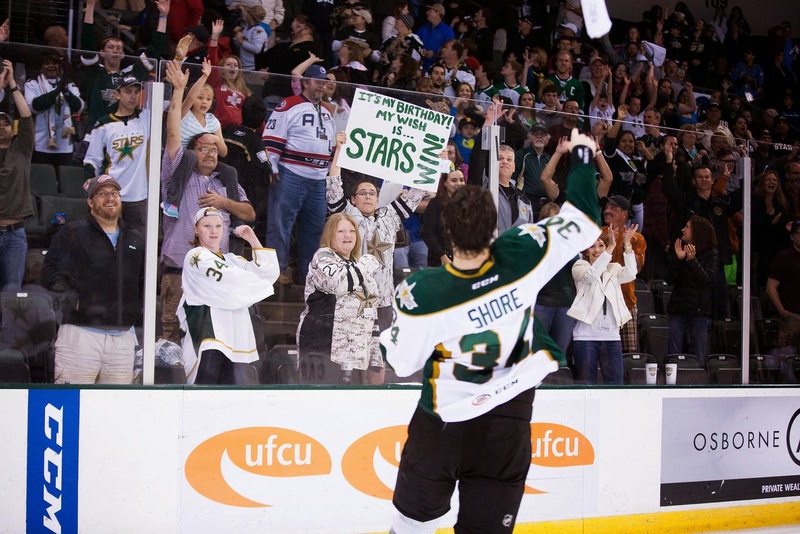 A very minor move today, but one that shows the Texas Stars are in playoff mode. Texas added goalie Markus Ruusu on an ATO this morning. He is a 2015 Dallas draft pick. The sixth-rounder is coming in as a practice goalie for the team. Every club does this whether it's a guy on the books or not. Philippe Desrosiers got some time as an ATO back in 2014. Local amateur Rick Plester, also known as "Sideburns" by the team, was a practice goalie without an ATO as well that year. Ruusu will not dress and is simply there to help take the load off of Texas' goalies in practice, who need to conserve energy for playing in games. With their first round matchup already set, Texas closed the season on a high note with a 4-1 blasting of the Moose in front of a sellout crowd at the Cedar Park Center. "It's a tough game to get through because your mindset is focused on the playoffs," said Coach Laxdal. "It was a trap game but we did enough to get the win." The Moose played a loose game, similar to San Antonio on Wednesday, with nothing left to play for but pride and contracts. They could have easily been up by two late in the first if not for the efforts of Jack Campbell in net. "For me personally, it was a good opportunity," said Campbell. "I was pretty fired up. I just tried to go out there and play my game and be calm and show my confidence level is high." Late in the first, Texas broke open the scoring on a Mattias Backman shot that beat Eric Comrie high glove. Matej Stransky followed in the second and Manitoba was on its heels. Stransky is one of the players Coach Laxdal has leaned on quite a bit in the last few weeks. The team is still working to figure out where to put him in the postseason lines, but the extra time has been very beneficial for him. "It's been nice," said Stransky. "[Laxdal has] given me so much ice time and trusted me on the power play. It's been great for my confidence." While the Stars did score two in the final frame, they probably had a few chances for even more. The team was playing a little loose itself with a lead against a lower-tier opponent. Laxdal assessed, "[We were] a little less generous with passing in the game. I think we had 15 shots [at one point] but 25-30 chances to shoot the puck." The Stars will look to remedy that in the playoffs. Late in the third, Texas had a clean sheet for Campbell and a chance to give him the goose egg for his final game of the regular season. Unfortunately, Campbell got burned on a 50/50 play, coming out to play a puck that he said he thought was coming a lot quicker than it was. The late game ice slowed it down and gave Dan DeSalvo and chance to catch up and deposit it for the 3-1 marker. Greg Rallo, a former Moose himself, would polish off the scoring into the empty net. 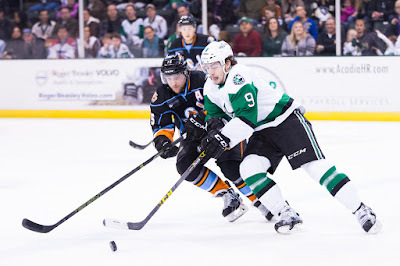 The Stars open the playoffs on Thursday at home against the San Diego Gulls. Without anything statistically to play for, Texas looks to close out their season on a high note with the playoffs coming up fast. Manitoba visits for the second and obviously final time this season. Coach Laxdal said Wednesday that he wishes he had the luxury of resting players tonight, but the long injury list means he can't. Instead, he will attempt to run his top 3 lines as close to what he wants in Game 1 next week. Last game's experiment with both Derek Army and Mike McMurtry in at center looks to have given McMurtry the upper hand. I would not be surprised to see him in over Army. Dowling and Blacker should be ready to go tonight. Smith is a question mark but could play as well. The American Hockey League has begun announcing the 2015-16 year-end awards. As the media representatives for the Texas Stars, Stephen Meserve of 100 Degree Hockey and Sean Shapiro of the Austin American-Statesman submitted a ballot for each award. Today’s ballot: the MVP. It’s important to note that we aren’t allowed to vote for Texas Stars, since we cover the team. And, due to the nature of the AHL scheduling, we haven’t seen an Eastern Conference team or player this season (Texas has played three Eastern Conference teams all-time: the Hershey Bears, St. John’s IceCaps, and Syracuse Crunch). Keep that rule and guideline in mind. We can’t vote for Texas, and we tend to vote for Western Conference players. Stephen: As previously noted, the winner of this award has been the league’s leading scorer every year but two for the last decade. The formula for this award is very similar to the Heisman to be honest. Be the best forward on the best team in the league (or at least wins its division). Knowing that Bourque would likely win. We lodged more of a protest vote, if you will, on the meaning of the award in the first place. The fact that the player with the most points won the vote points to the overall problem with the league’s voting system. No one can watch every game. That’s a given. But in the current configuration, no one gets to see every team with their own eyes. And so, everyone has to cast the ‘lazy’ vote and pick a guy based on stats. It’s an unfortunate symptom of the larger problem with the voting system. Sean: While it’s impossible to force voters to watch games and not vote based purely on stats, the league doesn’t make it any easier to determine a true MVP based on his play on the ice. One way to do this would be making AHL Live readily available to media members covering the league, creating a culture where media members better promote the whole league and not just their city or team. While it’s available for purchase, the cost ($300 for the season) isn’t one that individual reporters can legitimately afford or in the realm of a newspaper editor approving the purchase just for clearer voting results. We’ve asked multiple times if the AHL would provide AHL Live for free to media members, and each time it’s been denied. The other step that can be taken for more transparent results if for others to reveal their ballots. I’ve seen a couple media members reveal their votes on Twitter, but I believe we are the only media contingency that reveals our whole ballot on awards -- warts and all. Sean: MVP stands for Most Valuable Player, and you can’t tell me there was a player more valuable to his team than Rantanen this season -- yes, we gave a 19-year-old our top vote for AHL MVP. 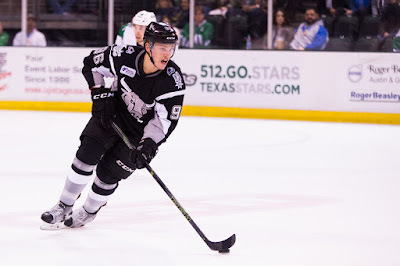 Rantanen put San Antonio on his back this season and had 60 points in 51 games. He was remarkably plus-19 on a team that finished last in division, and he did everything to keep San Antonio in games. He produced on the power play, killed penalties, and scored game-winning goals. 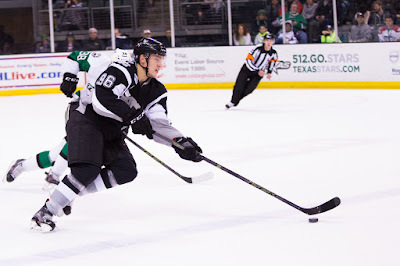 He had four game-winning goals and two insurance goals to secure victories for San Antonio, while he was forced to switch roles from wing to center when injuries hit the Rampage hard. He also passed the eye test. We watched Rantanen play nine times against Texas and he had 17 points in those contests. Did his team make the playoffs? No, but in the five games we watched San Antonio without Rantanen they were a much worse team and solidified this choice in my mind. Stephen: OK, yes. The Reign are stacked. However, as we’ve noted before in this space, the Reign have leaned heavily on their goaltender in terms of games played. Budaj will probably end up playing 61 of 68 games for the Reign this season and hold a sub 2.00 GAA and a save percentage north of .930. Stephen: Alright. Despite all our kvetching above about the meaning of the award and such, Bourque did have a good season. He was ahead of the next closest scorer on the Bears by a significant margin at the time of voting and has widened the lead to 26 points as of this afternoon. He’s clearly the most valuable player on the Bears. Sean and I felt a certain amount of inevitability that Bourque would be selected and certainly he is in the top five of the league. In terms of those five, this is where we ranked him. The American Hockey League has begun announcing the 2015-16 year-end awards. As the media representatives for the Texas Stars, Stephen Meserve of 100 Degree Hockey and Sean Shapiro of the Austin American-Statesman submitted a ballot for each award. Today’s ballot: the Garrett Award for Rookie of the Year. Stephen: Well, there’s probably no better example of the East/West split than the Rookie of the Year award being split between the best rookie in the West and the best rookie in the East. Being Western Conference voters, we slotted Rantanen at the top of our ballot. Sean: I too would like to see the raw data on this one. I would imagine that Rantanen and Vatrano each appeared first or second on 29 of the 30 ballots. (Remember San Antonio and Providence voters can’t vote for their own player). It was clear both players are deserving of the honor, but we had Rantanen first on our ballot and we watched him play more than any other media contingent in the league. The Avalanche first-round pick was remarkably good on a very bad team and did it as a teenager in league with a de facto 20-year-old age limit. Rantanen is plus-19 this season on a team that finished minus-24 as a group. Sean: Picking a third player on the ballot was an exercise we likely put more time into than necessary, it was clear Vatrano or Rantanen (turns out both) would win. However, we decided on Russo because of his role as a rookie defenseman on a team that turned around the season. We’ve talked about him at length on our All-Rookie team and Shore ballot, so I’ll refer back to that for more on the Griffins rookie. Stephen: The debate was difficult because we both thought Jason Dickinson was deserving of recognition for this award. Of course, we couldn’t vote for him, so we considered Russo the best among a crop that included Milwaukee goalie Juuse Saros and a few others. For the second straight week, Curtis McKenzie stood above the pack and was selected for Player of the Week. 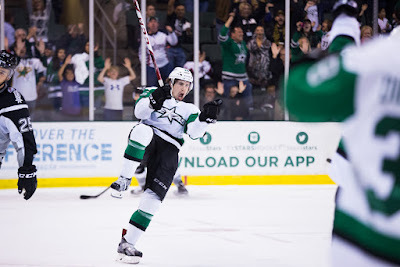 His shorthanded tally last night to bring Texas to a tie with San Antonio late was a real standout play in a week that saw him score three goals and return from the NHL. There were obviously a few other players who had excellent weeks, not the least of which was Justin Dowling. Dowling also had a game-tying goal on Saturday but his four point performance was hampered by two of those points being secondary assists. McKenzie's grit in a week that is almost meaningless to the final standings was a solid marker in his column. McKenzie is old hat at the AHL playoffs at this point. Last night in postgame, he talked in like a veteran about the level of preparation and mentality of a playoff team. As he stated, only three more periods until the real season begins. 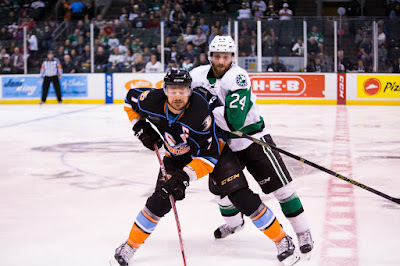 Needing a full two points tonight for a chance at home ice in the opening round, Texas fell in overtime to frequent visitors San Antonio tonight. 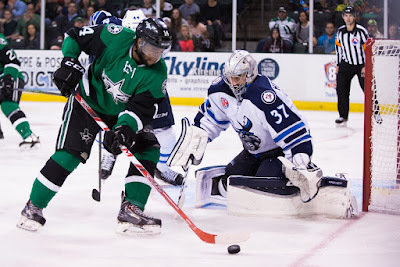 The game was one of wild swings, which twice saw Texas score to tie the game only to see the Rampage counterattack on the next shift. "We talked about it in between periods," said Travis Morin. "That those are the biggest shifts, whether they score or we score." In the end, San Antonio's loose game overcame Texas. The Rampage, who were eliminated from the playoffs a while ago, are trying more things and being more aggressive. 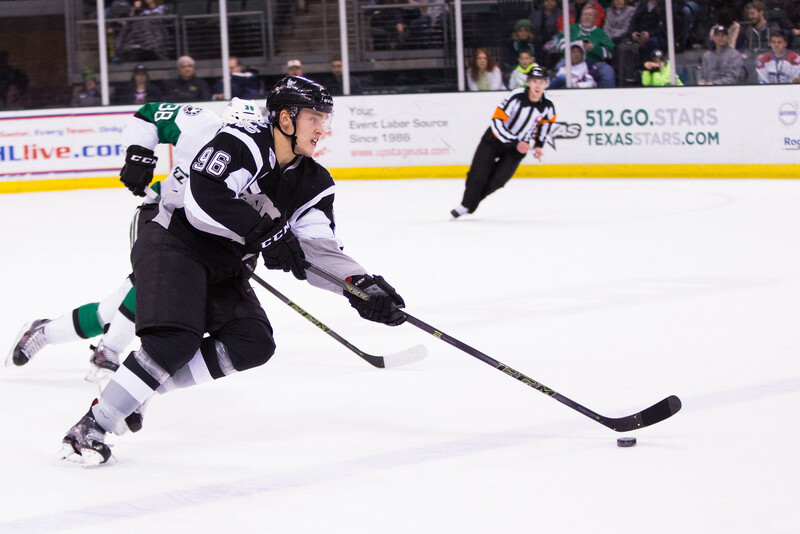 Coach Laxdal agreed, saying the Rampage were playing "a wide open game." San Antonio struck first with a pair of goals that put Texas on the back foot. Curtis McKenzie noted, "I think we were a little loose to start the game and we were playing catch up a lot of the game." The Stars took their timeout and settled in. Cory Kane scored coming off a penalty kill and Derek Hulak evened things at two. Texas would score the go-ahead goal on the power play, but the Rampage would answer just 14 seconds later. The two clubs traded goals until the Stars found themselves down 5-4 after two periods. Curtis McKenzie collected his 24th goal of the year on a beauty of a shorthanded chance late in the third to tie things at five all. He elaborated on the mentality that Texas needs right now in postgame, "Your mentality can't change. You can't play that way or you'll be in trouble to start the playoffs. We have three periods left to prepare ourselves and then it's the real season." Overtime was overtime for the Stars, who have had bad luck in the 3-on-3 extra frame since its inception. Dennis Everberg scored from the high slot with under a minute left for the final 6-5 score. One rock solid piece for Texas over the past few months had been goaltending, but with a 6-5 final, that is clearly faltering a bit. Coach Laxdal added, "Probably one question mark is the goaltending. It hasn't been good enough the past ten games. Lagace's got to find his game." Texas has one more chance for a tuneup Saturday against Manitoba. It’s finally playoff time here in Idaho, as it is for the rest of the Stars organization. Dallas, Texas and Idaho are all in the playoffs which speaks volumes to the depth of the organization as well as the continued future success for the Dallas Stars in the NHL. Just a brief recap before we preview the playoffs here in Idaho. The Steelheads finished their season with a 4-3-2-1 record in their last 10 games and finished in a tie for first place in the Western Division, only losing the title to the Colorado Eagles due to the tiebreaker of Regulation and Overtime wins (41 to 35). Taking a slightly deeper look at the last 10, the Steelheads managed points in seven of those ten games, with the only regulation losses coming against the Eagles (2) and the Missouri Mavericks (1). Plus with three of the losses coming in the 3 on 3 overtime or a shootout, here is the yearly reminder that they play five on five in the playoffs and there is no shootout to contend with. Even though Texas has a playoff spot locked up and knows it will play San Diego, there is still the matter of home ice to decide. As I wrote Monday, the Stars are likely to start the series at home with a 2-3 sequence seeing them in the lower seed. 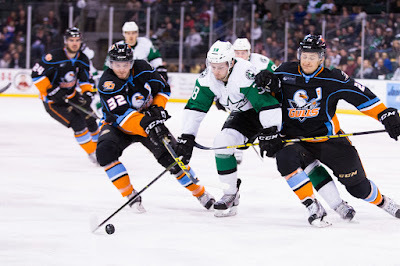 However, if Texas defeats San Antonio and Manitoba this week and San Diego falls to Ontario twice, the Stars will leapfrog the Gulls for home ice. The series would start on the road in southern California, likely late next week. In order to even have a chance to get there, Texas needs four points out of this week. Tonight's opponent is the most familiar on the schedule. This final matchup with the Rampage will be the 14th meeting between the teams this season. Texas holds the season series advantage at 7-5-1 coming in. Despite the Rampage's high then low season, the two clubs have split the games pretty evenly throughout the entire season with no team dominating for any long stretch. The Stars won three in a row in the midseason. The Rampage still have a shot to move up out of last place in the Pacific with two games remaining. The team will surely rely on Mikko Rantanen, who is now back from call-up in Colorado. He has 16 points in just eight games in the season series. Joey Hishon also has 16 points but used 12 games to acquire them. The American Hockey League has begun announcing the 2015-16 year-end awards. As the media representatives for the Texas Stars, Stephen Meserve of 100 Degree Hockey and Sean Shapiro of the Austin American-Statesman submitted a ballot for each award. Today’s ballot: the Shore Award. Stephen: We were so sure of the outcome of this award that I started writing the analysis yesterday. There is positively no question that T.J. Brennan was the best defenseman in the AHL this season. In fact, he has a decent argument for the best player overall. At the time of voting, he was ranked second in points (now third thanks to an NHL call-up) and is the only defenseman in the top 15 of AHL scoring. The Marlies have been insanely good all season and his veteran presence has been a huge part of that. He shows he’s not just a power play specialist with a plus-36 rating as well. The last time he had numbers this good was 2013-14 when Texas faced him, Drew MacIntyre and the rest of the Marlies in the Western Conference Finals. Toronto will surely settle for nothing less than the Cup after the season they have been having. Brennan could find himself hoisting a Cup and maybe a playoff MVP trophy when all is said and done. Sean: We’ve spoken quite a bit about the Grand Rapids rookie over the past two weeks. We had him on our AHL All-Rookie and AHL All-Star ballot. Plus/minus isn’t always the best way to measure a player, but Russo sitting at plus-44 with three games remaining is pretty indicative of his season. He’s solid in both ends, he passes the eye test with his play. Detroit made a nice pickup when they signed him as a free agent last summer. Stephen: There were a lot of good choices in the margins past the top two. Sean and I considered Brandon Montour, but our apprehension over his defensive abilities outweighed his scoring prowess for us. In the end, we went with another Marlie, Connor Carrick. He spent most of the season with Hershey, where he racked up a plus-23 in just 47 games of work. If he’d maintained that pace all season, he would have bested the winner of this award with a plus-37. Carrick was traded to the Marlies and then called up to the NHL immediately. At the time of voting, Carrick hadn’t played a game with the Marlies yet. His limited body of work was impressive though, and that slotted him third on our ballot. The American Hockey League has begun announcing the 2015-16 year-end awards. As the media representatives for the Texas Stars, Stephen Meserve of 100 Degree Hockey and Sean Shapiro of the Austin American-Statesman submitted a ballot for each award. Today’s ballot: the Bastien Award. Stephen: Honest question, did anyone in the league (other than Ontario) not vote for Budaj? His numbers were insane this season. He’s just the second goalie in the past fifty years to earn more than 40 wins in a season. When you take into account the percentage of the overall starts that he took, he was a workhorse for the Reign. Further, last year, Budaj didn’t win a single game. He was 0-9-6 for the St. John’s IceCaps. If there were a Comeback Player award in the AHL, Budaj would win that as well. You can say what you might about Budaj playing behind a very good Ontario team, but I think we all saw how good he was in net for the Reign against the Stars on multiple occasions. As far as awards go, we’ll see if Budaj gets the nod for MVP as well. The Cunningham Award has been given to the league’s leading scorer every year but two since 2006 though. A goalie last won the award in 2004 (Jason LaBarbera, Hartford) and only three goalies have won it in the past thirty years. Maybe it’s time for another? 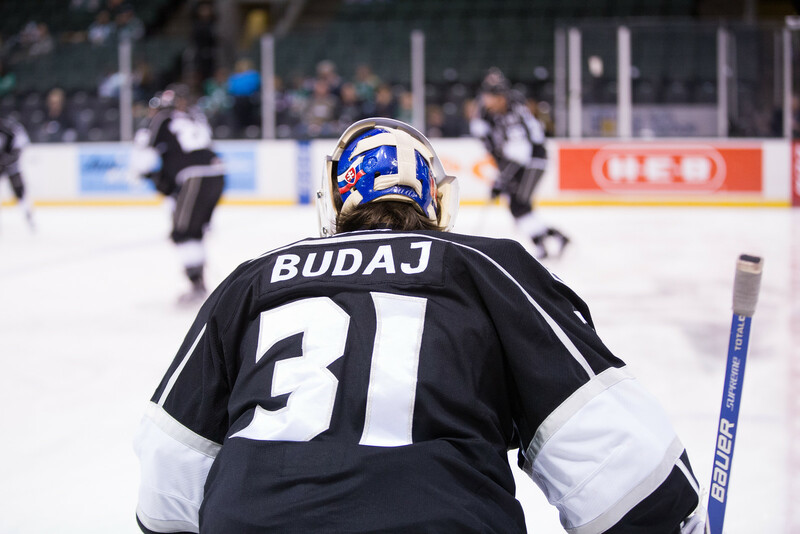 For more on Budaj, I’ll point you to some local coverage from the Inland Valley Daily Bulletin. Stephen: Our love for all things Saros continued here with this being the third ballot of ours he found himself on. We’ve already written about him twice in this space, so it is probably overkill to do it again. Suffice it to say that Saros was impressive for us and could be a dangerous force in the Central Division (both AHL and NHL) in the coming years. Sean: The first two names on our ballot were pretty obvious and it seemed like a foregone conclusion Budaj would win the award. Figuring out No. 3 was a bit more complicated since we’ve seen a handful of quality goalies this season. However, the problem with most of our initial thoughts either spent too little time in the AHL because of injury (Jon Gillies) or NHL duty (John Gibson and Calvin Pickard). Or, they were good for stretches, but had equally lengthy stretches where they struggled. 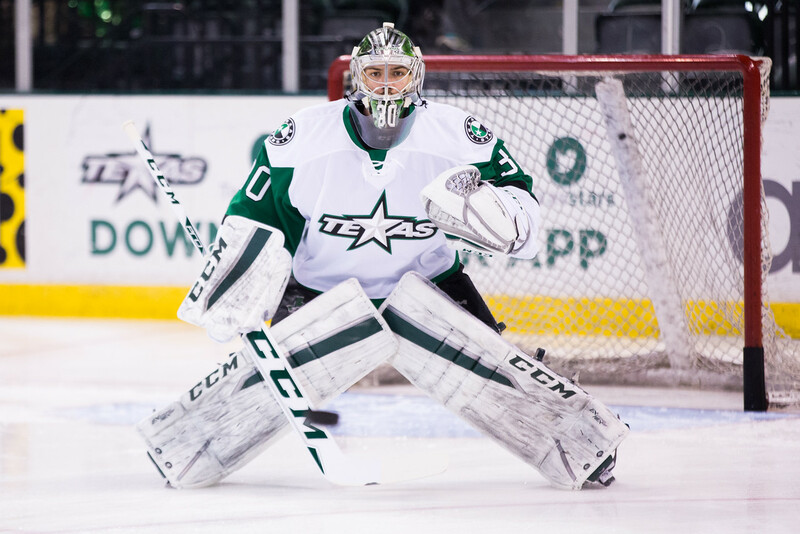 In the end, we settled on Coreau, mainly because we can’t vote for Maxime Lagace (faces more shots on average than any other goalie headed to the playoffs, he deserved some recognition). Coreau had the combination of consistency (46 games played) and quality (.923 save percentage, 2.40 goals against average) to make our ballot. He also helped Grand Rapids turn around a horrendous start to the season, and earned a couple call-ups to Detroit. Plus, he played three years of college hockey at Northern Michigan… which was a secondary tiebreaker to the fact he played in the Western Conference. 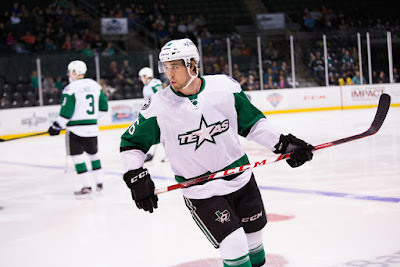 It's still up in the air where and when the series will start, but with a week to go in the season, the Texas Stars already know their first round playoff opponent. With Texas and San Diego both locked into either the second or third seed, the Stars and Gulls will be meeting in the first round of the AHL playoffs. Remember that the first round is a five-game series and teams separated by more than 300 miles play a 2-3 starting at the lower seed. Currently, the series would start in Texas. However, if the Stars win both games this week against weak competition (San Antonio and Manitoba) and San Diego loses twice to Ontario this week, the advantage will swap. Either way, the Stars will face the Ducks' farm team in the first round. Texas has a 5-1 season series advantage over the Gulls, but San Diego has been very hot recently. Since losing to Texas on February 17th, the Gulls have lost just two games in regulation, going 15-2-3-1. For what it's worth, both teams have their NHL club in the playoffs, which means there will be no surprise send downs for either side. Usually when you're down 5-2 halfway through the game, that's pretty much it. Pack it in, boys. You'll get 'em next time. The Stars did not accept that tonight and punched their ticket to the playoffs with an extraordinary comeback. "That's a great game for us to play and win," said Coach Laxdal. "It sets us up well for the playoffs. Second and third period we ran it hard. We saw some of our players back to the level we needed them to be." The Barracuda's leading scorer, Ryan Carpenter, contributed two of the first three goals and sent Maxime Lagace to the bench in favor of Jack Campbell. Down 3-1, Laxdal said he wanted a spark for his team and he went to Campbell without hesitation just a minute into the second period. Campbell would let up two more, including a shorthanded tally, to set the score at 5-2 after 12:11 of the second. McKenzie's pretty backhander in the first and Jason Dickinson's diving power play goal in the second were the only goals Texas had to that point. Matej Stransky kickstarted the comeback with a laserbeam goal off a paunchy rebound with under two minutes left in the second. Travis Morin found Esa Lindell sneaking down the left wing side just a minute later for sniper's goal and the 5-4 score after forty minutes. The fireworks really went off in the third period. Justin Dowling knotted things at five with goal through some traffic. Matej Stransky got his second of the night to push it to 6-5 with a bell ringer off the crossbar after nimbly maneuvering around some San Jose defenders. A shorthanded 2-on-1 by Dowling and Morin gave Dowling his second of the night. To cap off the scoring, San Jose left Jason Dickinson all alone in front for the final 8-5 marker. Jack Campbell performed well down the stretch, stopping 19 of 21 total on the night. 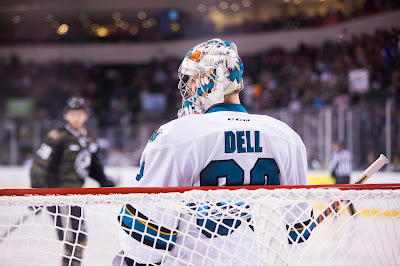 Aaron Dell got shelled by the Stars with 43 saves on 51 shots, including 23 in the second period alone. 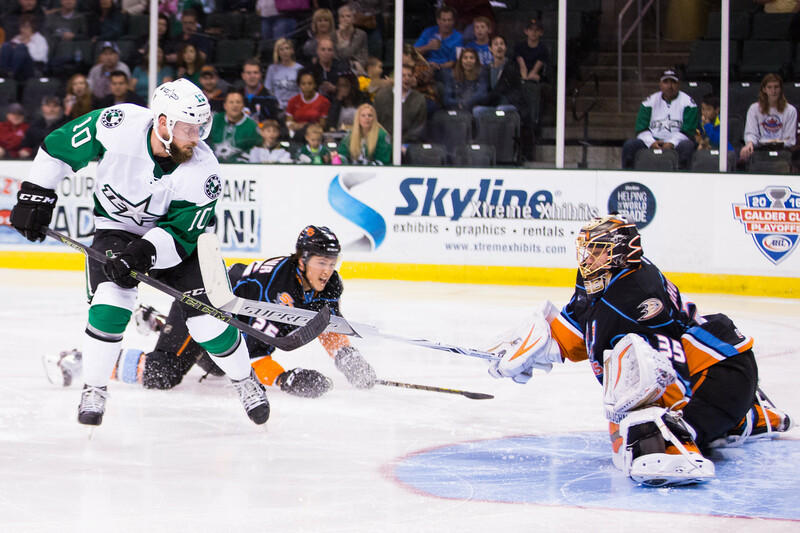 With playoffs clinched, Texas puts its sights on Wednesday's game against San Antonio. 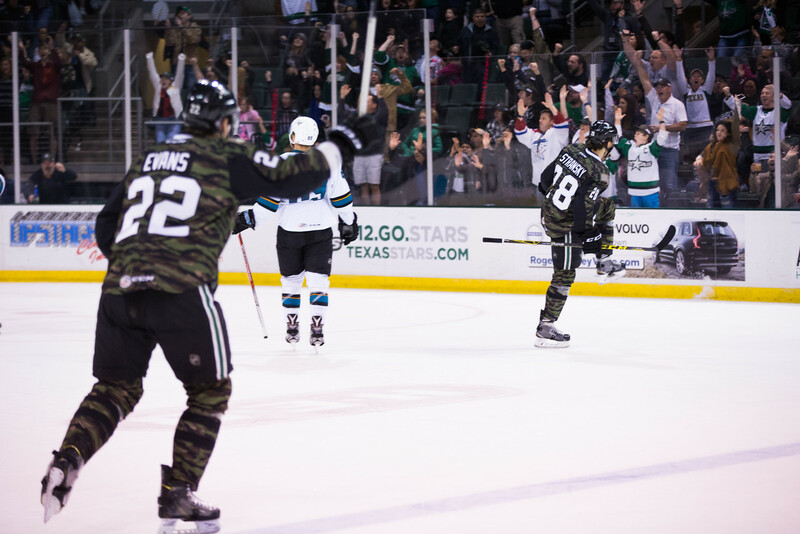 Tonight's attendance was 6,836, officially recorded as the Stars' first sellout of the season. Another all-hands-on-deck type effort might be in the making for Texas. Last night, already down a few bodies, the Stars lost Gemel Smith in the third to flu-like symptoms (imagine whatever unpleasantness you will for that) and Branden Troock to an upper body injury after his fight. Cory Kane and Matt Mangene will likly check into the lineup to help Texas collect the single point it needs to clinch a playoff berth. San Jose is scoreboard watching in Charlotte, who is playing tonight. They picked up a game on the Checkers last night and need every point they can get from the remainder of the schedule if they don't want to lose their spot in the playoffs to the Central Division crossover. If the energy last night was evident, tonight it is going to be even more so. Expect Aaron Dell and Maxime Lagace once again in net. 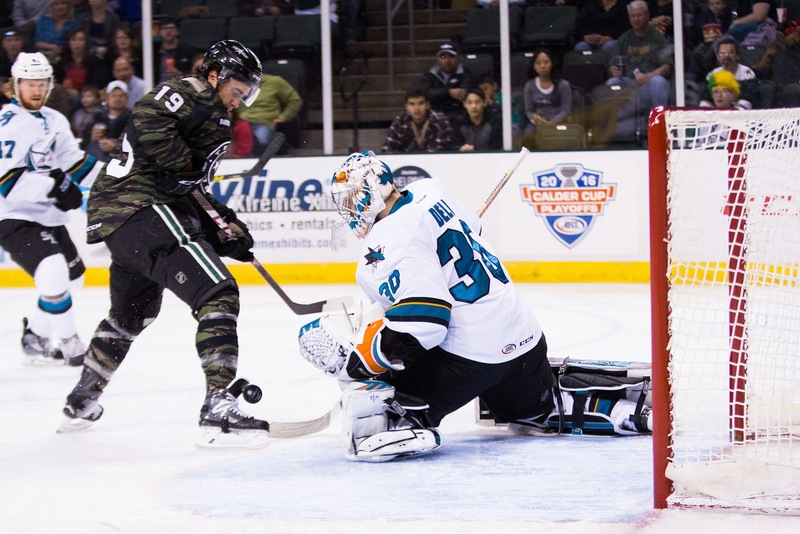 Needing a point to clinch a playoff spot, the Texas Stars didn't get dirty enough to earn a goal against the desperate San Jose Barracuda tonight. Texas was shutout at home 3-0 despite a 33 shot effort that saw them go scoreless on six power plays. "I thought we did some good things but we didn't have a lot of penetration to their net," said Coach Laxdal. "We had perimeter looks and we didn't bear down on our chances." 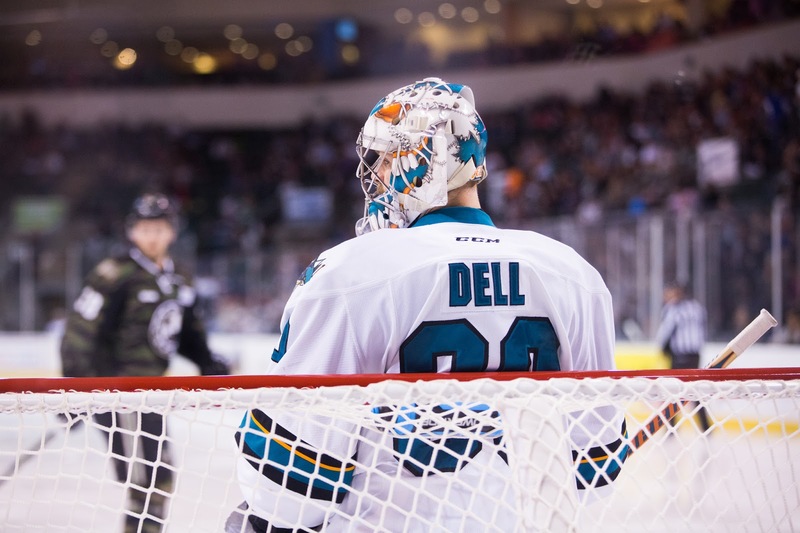 Aaron Dell earned a shutout for San Jose, but Texas didn't make it tough on him, according to Matej Stransky, "He was good to get the shutout, but we have to make it harder on him." The Stars earned six power play chances but handed San Jose seven, one of which they cashed in on in the second period. With a total of 62 minutes of penalties in the game, it was tough to get any sort of flow. "It's tough to keep the flow going with a lot of guys playing a lot of minutes," said Jason Dickinson. "A lot of guys sit for a couple of minutes, and they lose that jam they had going." San Jose captain Bryan Lerg opened the scoring and notched the only goal his club would need, in the end, on a greasy play at the net. Coach Laxdal noted that the energy on the Barracuda bench after the first goal was clear. San Jose is up against the wall and fighting for their playoff lives. Tonight, they simply wanted it more. Laxdal continued, "They have a sense of urgency. We have to play with a sense of urgency. We haven't clinched anything yet. We don't want to be given [that point], we want to earn it." A San Jose power play in the second period, which was marked as 5-on-4 but really occurred before Lindell could rejoin the play, put another nail in the coffin. It was a familiar tune after the game with players noting that Texas needs to go to the dirty areas to score against this goaltender. San Jose plays a solid defensive game and perimeter shots won't get it done against Dell. Dickinson commented, "He's good on first opportunities. You have to get in his eyes and create second chances." Laxdal continued, "We were a little perimeter in offense. We have to be willing to go to the dirty areas. We have to be willing to stop in them. We had better looks than they did, but they got a greasy one [in the first]. We have to get a little dirtier." Texas will have that chance for redemption tomorrow against these same San Jose Barracuda, still needing just one point to clinch a playoff spot.